Superdry men's Trophy short sleeve t-shirt. 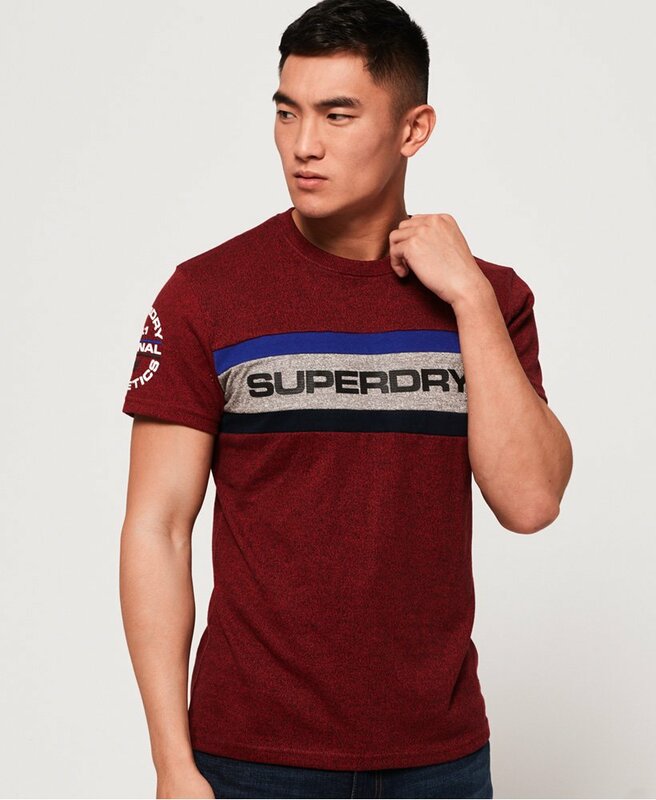 This staple t-shirt features a crew neck, a panel design across the front and a textured Superdry logo. The Trophy short sleeve t-shirt is finished with a Superdry logo graphic on the sleeve. Complete the look with straight jeans and a zip hoodie.